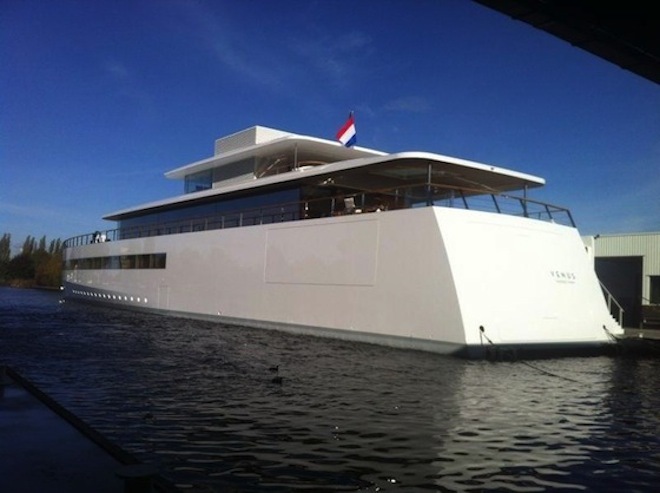 More than a year after his death, Steve Jobs’ project to build a minimalist and sleek high-tech yacht with legendary designer Philippe Starck has finally reached completion. As surfaced by One More Thing and The Verge, the yacht is making its debut in Aalsmeer, The Netherlands and is reportedly accompanied by Jobs’ family. According to PSFK, Starck and Jobs’ wife Laurene were “determined to have the project completed,” and now it looks as if they have reached their goal. Head here for more pictures.